Find the product management conferences you can’t afford to miss in 2019 with this complete list of every product management conference by region and date. 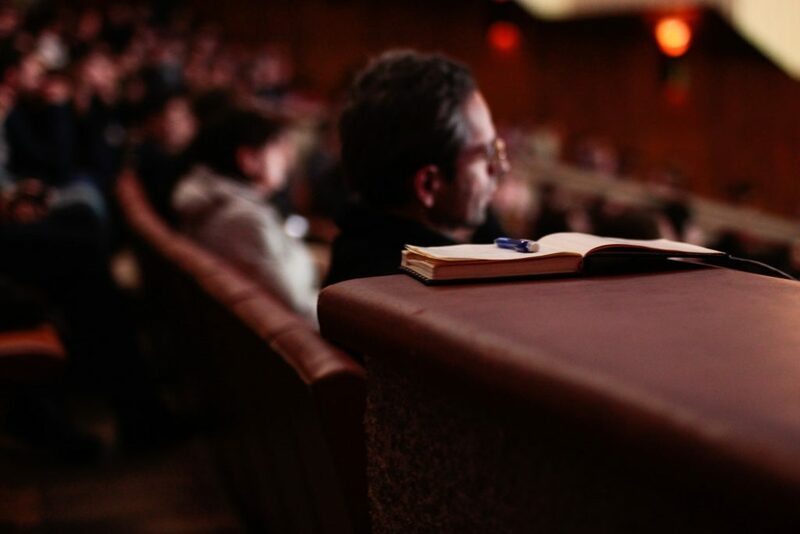 Product management conferences and events are an excellent way to learn product management best practices and network with your fellow product managers. That’s why we’ve compiled a comprehensive list of all the conferences you should watch out for in 2019. We’ve listed each conference’s location, time, and current starting prices in their regional currencies. However, prices increase over time and our listings might not be up to date. We also grouped conferences by continent so you can quickly find the events near you. Alternatively, you can check out our Airtable base here. Especially the ones in San Francisco and London. Mind the Product is one of the biggest and best-known product management conferences out there. The San Francisco conference is big partially because it’s in the heart of Silicon Valley, but the London conference is Mind The Product’s flagship. The San Francisco conference lasts from July 15-16, 2019 and has a starting price of $809.10. The London Conference lasts October 17-18, 2019, and ticket prices have yet to be announced. Especially the one in Cleveland. INDUSTRY is easily one of the biggest and best-known conferences specifically for software product managers. INDUSTRY GLOBAL is hosted in Cleveland, OH, USA, and will run Sep 23-25, 2019 with current prices starting at $695. Especially the one in London. JAM is a big product management conference where product people share stories and insights. However, we should be transparent and mention that we—productboard—sponsored Jam London 2018. So there’s that. Jam London 2019 will run October 31st to November 1st, 2019 and is currently starting at £250. Especially the one in Zurich. Product Management Festival Zurich 2019 is a big product management conference on product and innovation returning to Zurich. The Zurich conference will run November 13-14, 2019. Especially the one in San Francisco. The Product Event is one of the bigger and better-known product management conferences out there. “At The Product Event 2019 we work to engage product managers through leadership, motivating thought and inspiring positive change.” This year there’ll be two product two Product Events: one in San Francisco running February 7-8 and one in Chicago running May 16-17. Both have prices starting at $1,599. ProductCon is also another one of the bigger, better-known product management conferences. It’s especially prolific, offering five different conferences this year in London, San Francisco, New York, and Los Angeles. Leading the Product offers product managers a great opportunity for personal development, following innovative thought leadership, and networking with the product management community. Leading the Product will offer three events this year in Stockholm, Melbourne, and Sydney. Here’s the list of product management conferences coming to North America in 2019. And by “North America,” we mostly mean the USA. That said, there is the Strive UX Research conference coming to Canada. SaaStr isn’t exclusively or purely a product management conference, but it’s still highly relevant to product managers building B2B SaaS products. That’s why we’re going to be there! See this if you want to find us there. There’s three SaaStr conferences this year, this one in San Jose, one in Paris, and one in Singapore. Agile Open organizes itself using the unique Open Space Technology framework in the spirit of Agile methodology. This Career Expo is a smaller part of The Product Event, but still worth noting if you’re interested in hiring product managers or getting hired as a product manager. This Strategy & Innovation World Forum is one of four this year; this one is coming to Chicago while the others will come to London, New York, and Sydney. Growth Hacking is a conference about just that: Growth Hacking. DigiStrategy focuses on digital strategy and innovation by sharing case study examples. Organized by the Product Development and Management Association, INNOVATE Carolina Conference 2019 will focus on emerging ideas and technology and how they’ll impact the future of innovation over the next decade. The keyword here is Atlassian. It’s a big deal. The highlights are Developer Day, TAM Day, and the ShipIt Live hackathon. This Strategy & Innovation World Forum is one of four this year; this one is coming to New York while the others will come to London, Chicago, and Sydney. SiriusDecisions’ 2019 Summit isn’t exclusively or purely a product management conference, but it’s still relevant to product managers building B2B SaaS products. “ProductCraft: The Conference was designed for progressive product people.” ProductCraft is organized by Pendo and sponsored by fullstory, so it’s backed by some real Product-driven companies. ProductCon is one of the bigger and better-known product management conferences. This one is based in London, but there are four others coming this year in London, Seattle, New York, and Los Angeles. Agile and Beyond focuses on Agile and Lean methodology aimed at Scrum Masters, product owners, product managers, software developers, and executives. The Agile Leadership Summit is exactly what it says it is: a Summit to learn about and collaborate over implementing Agile methodology for those in a leadership position. Enterprise Experience focuses on the unique issue of UX specifically for Enterprise software. This is a niche but interesting focus since most Enterprise software suffer scope creep and design debt. Strive 2019 UX Research Conference brings “together researchers, designers and product people for listening, learning, and conversation about UX research.” This is also the only conference on this list coming to Canada. Mind the Product is one of the biggest and best-known product management conferences out there, and this one is in San Francisco, the heart of Silicon Valley. As of right now, Opticon19’s details are still forthcoming, However, judging by Opticon18 and that this is all organized by Optimizely, it’s safe to assume Opticon19 will focus on product management and marketing experimentation and optimization. INDUSTRY is easily one of the biggest and best-known conferences specifically for software product managers. This one’s in Cleveland, Ohio, but there’s also an earlier one in Dublin, Ireland. Here’s the list of product management conferences coming to Europe in 2019. There’s certainly quite the selection coming to Europe. In fact, Europe will be hosting a few more conferences than America this year. Mind the Product is one of the biggest and best-known product management conferences out there. This one is in Manchester, UK, but there are four other MTPs coming in 2019. Lean Startup Summit claims it’s the “best two-day training for innovation teams” for experts, authors, founders, intrapreneurs and C-level leaders focusing on innovation, transformation, and best practices. This Strategy & Innovation World Forum is one of four this year; this one is coming to London while the others will come to Chicago, New York, and Sydney. ProductCon is one of the bigger and better-known product management conferences. This one is based in London, but there are four others coming this year in San Francisco, Seattle, New York, and Los Angeles. ScanAgile19 is the Scandinavian Agile 2019 conference coming to Helsinki, Finland. Details are still forthcoming, but it’s safe to assume this will be about learning, teaching, sharing, and spreading Agile and Lean methodology. Leading the Product offers product managers a great opportunity for personal development, following thought leadership, and networking with the product management community. eCommerce Design Summit focuses on Product Design, UX, and Strategy. While many of the other conferences on this list lean towards the project management and software development side of product management, this one leans closer toward the UX and user-centric side. JAM Product Leaders is a special retreat for higher-level product leaders focusing on becoming better leaders, building better teams, launching winning products, and scaling successful businesses. It looks like an up-scale retreat for higher-paid leaders—like CEOs and CPOs—to network. Dublin Tech Summit claims it’s Europe’s fastest growing tech conference featuring 10,000 attendees from 70 countries. INDUSTRY is easily one of the biggest and best-known conferences specifically for software product managers. This one is in Dublin, Ireland, but they’ll also host another in Cleveland, Ohio. Product Sense claims to be the “largest conference about Product Management in Eastern Europe… for product and project managers, top managers, entrepreneurs, and analysts” and is the only conference on this list based in Russia. Agile-Lean Ireland is just that: an Irish conference focused on spreading Agile and Lean methodology to Leaders, Agile/Lean Coaches, Scrum Masters, Product Mangers, Project Managers, UX Designers, Software Developers, and Testers. Mind the Product is one of the biggest and best-known product management conferences out there. The Hamburg conference will also feature a special Product Discovery workshop with Marty Cagan, the author of Inspired and partner at Silicon Valley Product Group. ACE! is a Central European conference focusing on Lean and Agile methodology, Scrum, Kanban, Design Thinking, UX, UI, and product management, features a Building Better Products track aimed at product managers. La Product Conf is the big product conference for Paris, bringing together major French Product Managers, Product Owners, Product Designers, CPOs, and CEOs. SaaStr isn’t exclusively or purely a product management conference, but it’s still highly relevant to product managers building B2B SaaS products. There’s three SaaStr conferences this year, this one in Paris, one in San Jose, and one in Singapore. User Research London 2019 is “a conference by UX researchers for UX researchers” but UX research is still very relevant to product managers. While there are many UX conferences out there, this one is probably more relevant to the average product manager than most front-end development-oriented ones. Agile on the Beach has different tracks for Product Design, Product Management, Team Working, Agile Practices, Agility in Business, and Software Delivery. Turing Fest is actually not about AI or ML but a place to “be part of a diverse audience of founders, engineers, product managers, marketers, investors and more, coming together to learn, connect and share a unique experience.” Details will be announced February. growth marketing SUMMIT 2019 isn’t a pure product management conference but growth marketing encompasses things like customer onboarding, adoption, and retention which are definitely product-related. Growth marketing isn’t precisely product management but they have more than a little overlap so you might want to consider this one, especially if your company is looking for explosive growth hacks. JAM Barcelona is “the first activity-based event for product people” featuring activities like yoga, Thai boxing, and local tours of Barcelona. Canvas is a pure product management conference about product people spreading product stories. Agilia is a large Central European conference dedicated to learning, teaching, and spreading Agile methodology. Last year’s Agilia was in Hungary, and this year’s conference is in the Czech Republic, which is very near and dear to us here at productboard. Mind the Product is one of the biggest and best-known product management conferences out there, and the London one is perhaps the biggest of the five Mind the Product conferences coming this year. JAM London is where passionate product people share product stories, retrospectives, lessons, and practical tips. Product Management Festival Zurich 2019 is a big product management conference on product and innovation returning to Zurich. If you can’t make it to this one, there will be another Product Management Festival in Singapore. Productized is one of the bigger and better-known product management conferences. Productized focuses on Product Thinking, Product Management, Product Design, and Product Experience. Here’s the list of product management conferences coming to Australia and New Zealand in 2019. This Strategy & Innovation World Forum is one of four this year; this one is coming to Sydney while the others will come to London, New York, and Chicago. AgileAus19 is a large Australian conference on learning and spreading Agile methodology, and networking with a diverse set of your peers working in technology. Here’s the list of product management conferences coming to Asia in 2019. Most of them are coming to Singapore, but there’s one coming to Hong Kong and one coming to Tel Aviv (and yes, we know Israel isn’t what most people consider “Asian” but where else should we put it?). This is really more of a UX conference than a pure product management one. But this is a major conference and certainly one of the bigger tech conferences in Tel Aviv. It also boasts an interesting agenda this year that’s fairly relevant to general product design, so we decided to include this one. Mind the Product is one of the biggest and best-known product management conferences out there, and this one is in Singapore, making it the only Mind the Product conference coming to Asia this year. Product Management Festival Singapore 2019 is a product management conference on product and innovation coming to Singapore this year. If you can’t make it to this one, there will be another Product Management Festival later this year in Zurich. SaaStr isn’t exclusively or purely a product management conference, but it’s still highly relevant to product managers building B2B SaaS products. There’s three SaaStr conferences this year, this one in Singapore, one in Paris, and one in San Jose. Here’s the only product management conference we could find coming to Africa in 2019. It’s wonderful to see the emerging tech community in Africa. Pixel Up! is a UX, design, content, and research conference in Cape Town, South Africa, and also the only African tech conference on this list. Besides official product management conferences, there are also a variety of other options for meeting up and networking with fellow product managers. “Agile Coach Camp is a series of independent, not-for-profit, practitioner-run events.” Agile Coach Camp calls itself “the unconference for agile coaches.” Agile Coach Camps are self-organized and pop up everywhere. Right now, there are already some scheduled in Melbourne, Bengaluru, Mairipora, Cape Town, Washington D.C., Kyiv, Perth, and Sydney. Meetups are self-organized local get-togethers where people of similar passions meet up to do… whatever they want. These aren’t official conferences, but they’re still good networking opportunities and they might be more convenient to attend because they pop up all over the place all the time and they’re free to attend. “ProductCamp is a free, user-driven, collaborative ‘unconference’ for Product Managers and Marketers. Now organizing in a city near you.” ProductCamps are self-organized and pop up all over the world. Right now, there are already some scheduled in Hyderabad, Portland, Columbus, and Santa Clara. Hopefully this helped you find the right product management conference for you. If not, there are also self-organized Agile Coach Camps and ProductCamps popping up all over the world. You can also search your local area for product management Meetups. And if we forgot to mention a conference, please tell us! If you’re interested in learning product management best practices, sign up for our email newsletter and get the latest PM tips delivered straight to your inbox.